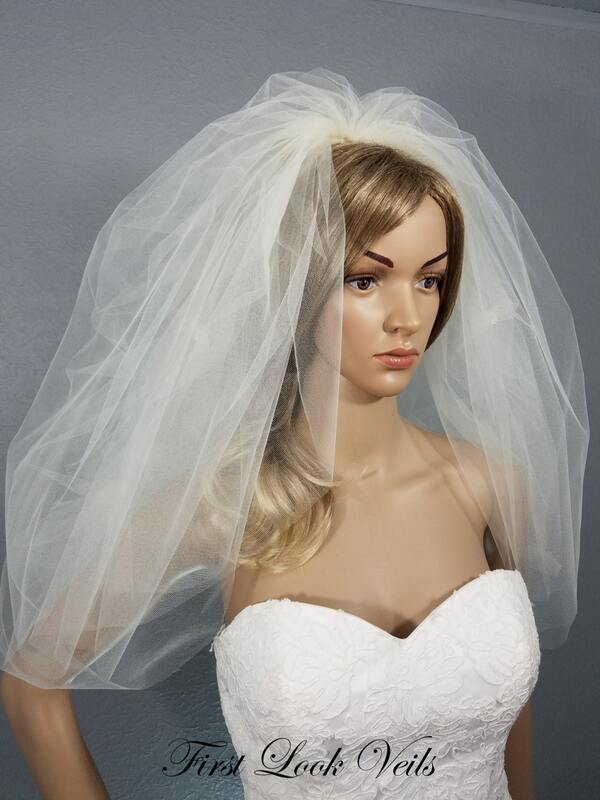 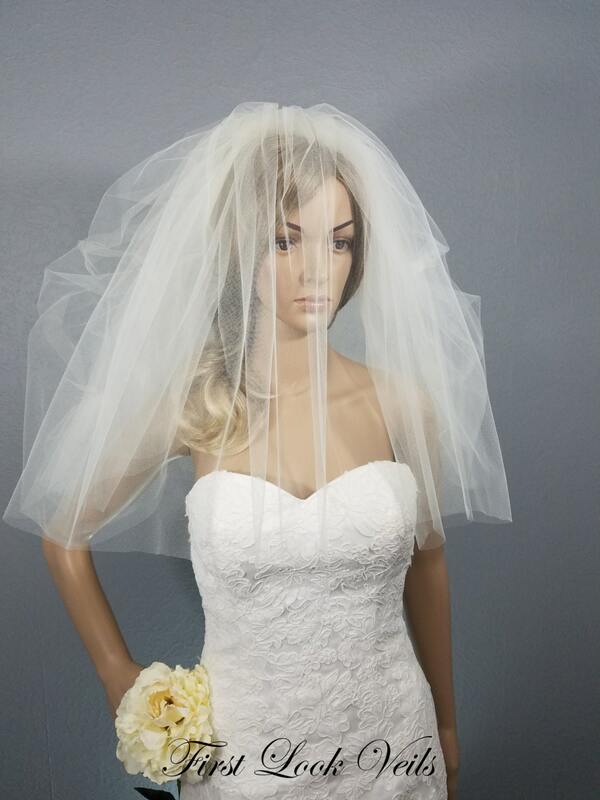 THE STYLE: 1960's inspired wedding veil. 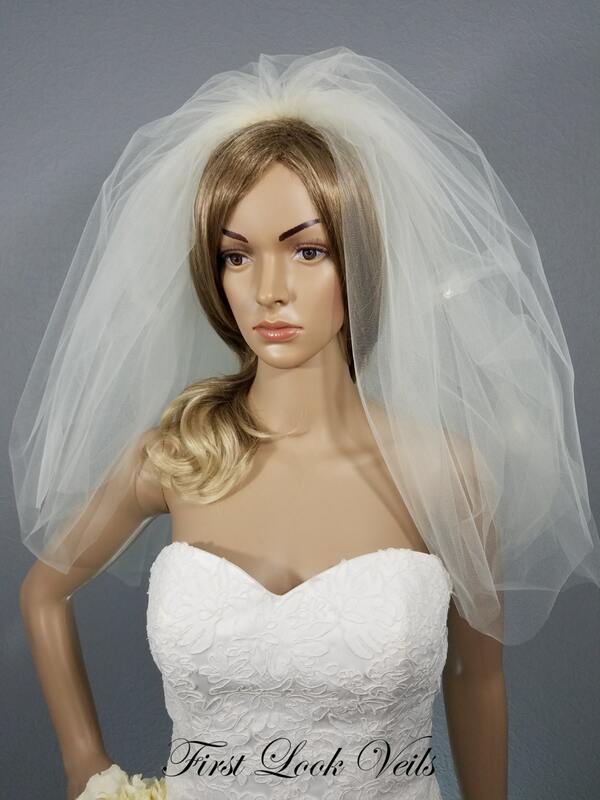 We designed this couture, shoulder length veil with blusher for the bride wanting to make a bold statement. 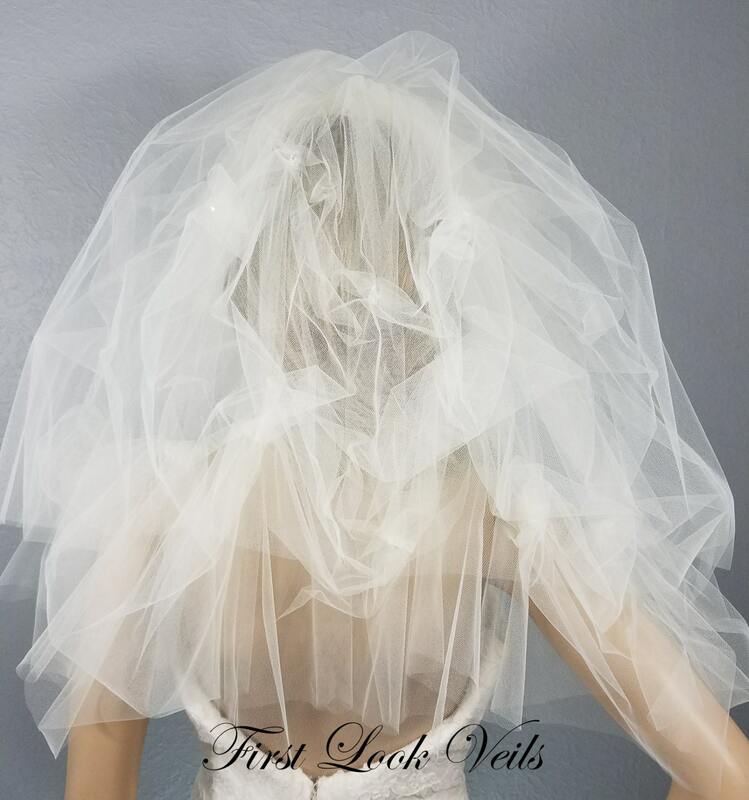 As part of our exclusive “Pick Up Veil” collection, the multi layers of ivory tulle have been designed with scattered pickups highlighted by drop crystals. 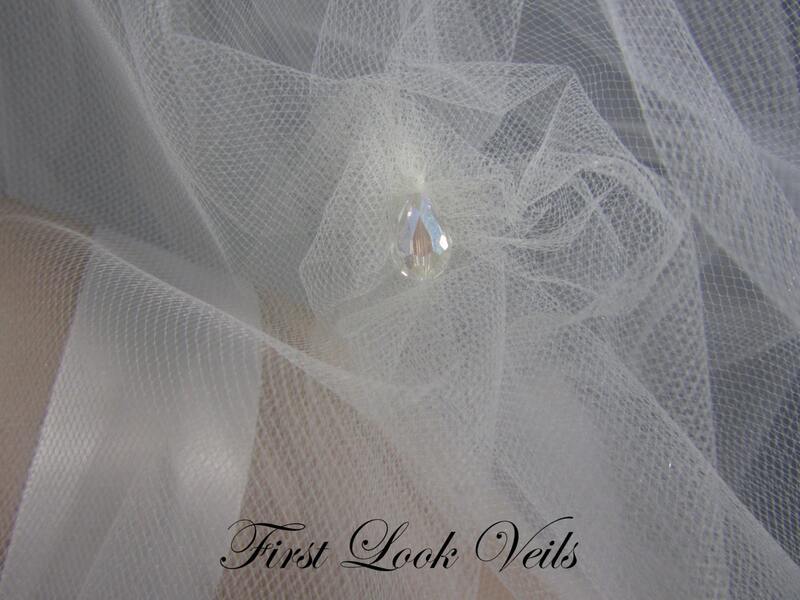 LENGTH: The pictured veil is a Shoulder length.